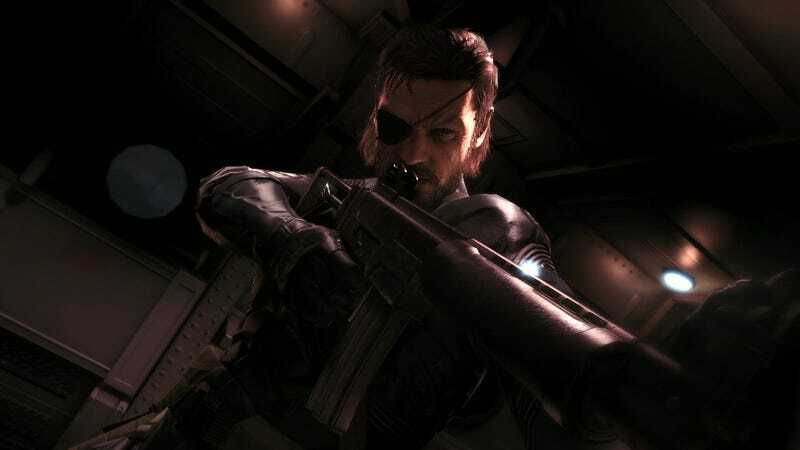 While Metal Gear Solid is a franchise that has included torture in the past, not only are more and more games including it recently—GTA and Splinter Cell, for example—it's still a sensitive subject that's hard to pull off tastefully. So naturally, it's always a thing that people like to discuss—particularly, how to handle it properly, and whether or not it should be included at all in games. If you ask Hideo Kojima, though, torture is definitely a subject that he feels games should explore according to a recent interview with Eurogamer...but maybe that was obvious, given that trailers for the upcoming Metal Gear Solid V have shown torture such as waterboarding and electrocution. Still, while it's a subject that he feels games should explore, and while Metal Gear Solid V itself will include it, torture won't be in there in an interactive capacity. "[Torture is] something that needs to be done," said Kojima to Eurogamer. "As the expressiveness of video games goes up, if you want to go beyond that it's not something you can avoid. Of course not all video games have to do this, and in my case it's not something that I want to go through. If the violence will give new emotions that are important to the game, I want to put it in there, especially with this game where one of the main topics is revenge. I don't want to walk around that." "I didn't want to go as far as having playable torture. The part of Metal Gear Solid 5 that has torture is non-playable," he explained. It's curious to me that Kojima thinks this is a subject games should explore—I don't disagree, but I do wonder why the scenes in Metal Gear Solid V aren't interactive (especially if they have been in the past). Isn't that the whole point of games or whatever?